The Chinese, God's New Chosen People? Dear angels of Father, unfortunately many teach that the 6th vial plague of the river Euphrates drying up, is to prepare the way for the Kings of the East; is taught to be for a 200,000,000 man army from China to cross over into the promised land. Whose goal is to fight the so-called ‘good guys’ of NATO and conquer Israel. It sounds really exciting and I have seen a movie or two depicting such goings-on. Since this was conjured up back in the 1970's and in a movie or two, it must be true, right? I do not believe such an interpretation. I find it simplistic, short sighted and illogical. First and foremost the battle at Armageddon is not: a battle between man and man, nor is it between man and satan, nor satan and God, nor the battle of Gog and Magog since that happens much later: after the tribulation, after the 1000 year reign, after satan is released and after the Godless are raised in the 2nd resurrection of the unglorified walking dead in chapter 20. This differs from the sixth vial battle, called the "Battle of God" because it is between God and an unrepentant living dust creature, called unsaved humanity. It is not for satan and his fallen friends, because they have already been judged at their formal eviction ceremony. Besides, they have a lot more work to do after the tribulation period. This is also not man killing man. Nor are ANY of the plagues in Revelation the work of man. God's judgments are beautiful, righteous and true; they are of His own creative doings. Thus the grievous sores are not a result of some chemical agent of war, released by man onto man. Nor are the "fire and pillars of smoke" or "eyes melting in their sockets as they stand upright" from some nuclear detonation from man’s actions. No, by God's words the earth was created, by His words alone it shall be destroyed. It makes me laugh to see documentaries on the ‘last days’ showing how the plagues could be accomplished by man. They then close the program on a happy note with "We have the power to prevent it". God has never found the task of mustering up very impressive plagues to be so difficult, that he needed to outsource the work to the filthy dust creature. Nor are any plagues in the book of Revelation conditional or avoidable. For examples of God’s solo improvisatory handiwork, see the plagues of: The Flood, Egypt or Sodom, no man hands were involved. Unfortunately without man's involvement and helping God out, ruins 90% of the pre-trib lie weavers 'end time' stories and theology. Secondly, there is no mention of a 200,000,000 army of men. Only an army of beings on horses, of which have heads of lions. China 'may' have 200,000,000 healthy soldiers today, but certainly nowhere near that many horses, tanks, planes, helicopters or even bicycles. I hope they enjoy long romantic walks in the desert. Moreover the riders kill 1/3 of men by the fire, smoke and brimstone from out of their mouths and tails like serpents with heads that hurt. No, Beloved, these 200,000,000 beings are not at all human but demonic angels. Even if it was symbolic of man made instruments of war, today’s high tech munitions do not use sulfur (brimstone). This is a literal demonic army sent to kill men. We have over symbolized the visions in Revelation, much more is literal than is taught. For instance, you have no problem accepting the four beasts in Heaven; flying around the throne room having heads of a: lion, calf, man and eagle, with eyes all over them and each having six wings. Yet demonic locusts coming out of a smoke filled pit, must be helicopters for some reason. Thirdly, why in the world would God be so nice and helpful to China, to pave a road for them to invade the Promised Land? This is a lovely thought, that makes one itch their head in a logic loop. Then why pray for the 'Peace of Jerusalem' if it is against God's ultimate prophetic plan? Or should we then pray for China to invade Jerusalem, to hasten our Lord's return? Neither beloved, China is not going to cross the Euphrates. Perhaps a few thousand years ago, river crossings needed miracles of God to assist. Good heavens, even George Washington crossed the Delaware in a rowboat. I think we have similar type devices nowadays? If one listens carefully, one can almost hear the grand fable of 'God’s logic' under the direction of the lie weavers. “Behold, here comes an enemy of Israel; I better drain the river Euphrates so they don’t have to: swim, rope, fly, boat over the river, sail around to the Mediterranean or install a common military floating port-a-bridge. Gee, I wouldn't want them to take the long way up into Turkey and have to walk around the river. I better do a grand miracle for this common task, because I really like those Chinese warriors. Besides, I don’t want them to tire out after their 5000 mile walk. They should be strong and able to kill humanity for me, despite the many crippling plagues I just put on them. I guess I should also dry the base of the river so they don’t get their feet muddy or have any difficulties like Pharaoh’s army did. That is nonsense from the hallucinogenic 1970's. Moreover, if China were truly walking 3000-5000 miles on foot to Israel, the Euphrates would be the least of their worries. Outside of replacing 200,000,000 pairs of shoes and other major logistical problems like: the largest earthquake known in history, which will take down all bridges and dams globally (to mention; it is not really a plague from Glorious Mighty God, if the river is dried up with the button push of a man made mechanical dam, now is it? ), notwithstanding attempting to supply food and water for 200,000,000 in a desert during an existing famine and drought. Perhaps God is going to do daily miracles for the Chinese, His 'New Chosen People' ? Their first ‘river’ problem would be the Tigris river, about 25 miles (40km) east before they even get to the Euphrates. This is what we call a child’s logic problem. I guess God forgot about the Tigris that was there since the Garden of Eden? Both rivers parallel each other north to south and present the same crossing issue. This point alone proves the river is not being drained and dried to help China cross over. If it was needed for crossing, both rivers need to be drained and dried. Obviously, the river is not going to be dried up for China or anyone else to waltz into the Promised Land with God’s blessing to destroy His beloved Israel. Did someone mention plagues? The fantasy teachers have apparently not read about the other plagues that happen prior to the river being dried up. Lets see, four categories: Seals, Trumpets, Thunders and Vials. Then multiply them by 7 steps each, totaling 28 plagues (minimum). The river drying up is plague number 27, second to last. So long before any so-called 'river dancing' takes place, the following must happen to our intrepid army: grievous sores must cover their bodies, mass starvation ensues due to blood in their rice fields, pestilence, earthquakes, no drinking water anywhere on the planet, the sun must scorch their skin, beasts pursue and kill them, an asteroid hits the sea, they must be tormented for 5 months with stings, they will also beg an uncooperative 'angel of death' for death and then they are forced to change their life long religion, to ‘Son of perdition’ism’. This sort of spa treatment doth not make any human army very spry, in spirit or numbers. So, a multi-thousand mile hike, is not going to go over very well at that point. There is also the LITTLE issue of premature death. China 'may' have a 200,000,000 man army today. However by this point (27th plague), China's population courtesy of Father, will be down by a minimum of 58% (from previous plagues). So, to end up with the right number of soldiers, they will need to start with 316,000,000 (58% more). Silliness as normal from the lie weavers. We must give them credit on fearful and wishful thinking. They need to be so deceptive, to contradict all the direct words of Christ in the four gospels and the old testament prophets. Beloved these are not men but demons. Directly after the 27th plague (dried river), comes the last plague, number 28. Of which states, “It is done”. It is simply a closing. The Euphrates is it folks. A stunning parallel to the crucifixion “It is finished”. Including all the special effects. The Sun was darkened, the earth quaked and many came out of the graves. Beloved, we shall see history repeat. Do you find it odd, that there was NO mention in the Bible of the result of this coming, so-called largest battle of mankind? I wonder who wins NATO or China? With no information given, one would have to presume it was a tie and the last two fellows standing committed suicide (giggle). In spite of the lie weaver's pulpit screams; the bible miraculously states, right before the (last) 28th plague it states, "Behold I Come As A THIEF", sound familiar? Obviously, Jesus has still not returned dear angels, blessed are those who wait. Then "He" (Jesus, not man or antichrist) gathers the tares to Armageddon (the altar). Notice it is not men gathering men. Remember this difference. In the Old Testament God promised to Abraham and his descendants the Promised Land. 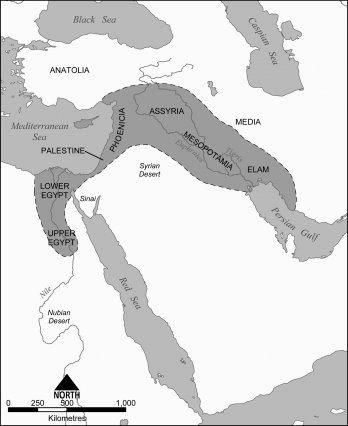 The borders reached from the wadi of Egypt to the Euphrates. This is also part of the area known as the “Fertile Crescent” (see dark dotted region). To God be the Glory, that is the perfect section of land needed for the New Jerusalem yet to come! So why does God dry up the river and who are these illusive “Kings of the East”? Who is the most important King that comes from the east? The interpretation is faithful and true; the King of kings, our groom, Jesus of course. As the lightning comes from the east and unto the west so shall he come; first begotten of the dead and prince of these Kings. His 'Kings from the East', are those who are standing with him. The 144,000. The Lord comes scattering His Kings in snow white apparel; 20,000 chariots and 10,000’s of His saints. These are His servants that are sent forth to gather out all that offend, to sever the wicked from among the just (those taken). These Kings from the East first gather them in bundles and then our High Priest sets them ablaze. The 'way' or 'workings' of these Kings is yet to be prepared. For they should rest and wait a little while longer, until their brethren be killed like they were. As prophesied in the Holy scripture, "A cry was heard in Ramah, Rachel weeping for her children that were no more. Weep not for these babes who will return to rule over them." These Kings of Judah that no one knew, shall execute the Lord's judgment as servants. As other Kings of antiquity had their names etched in the high places of their cities; so shall it be with these King's of the East. As a fruitful bough by a well; whose branches run over the wall; their names shall fill the great wall's gates of the New City Jerusalem. The lineage of Joseph's house, forever emblazons the twelve gates thereof. Dear angels, the visage of these Kings shall bring honor to the City, says the Lord thy GOD. These Kings were given white robes and told to rest a while (but not forever). On that day, their rest is over and they follow the lamb everywhere, even upon battle horses without breaking ranks. The banner they ride behind is the name of His army. "King of kings and Lord of lords" is the banner written on our fierce Lion's vesture and thigh. Clearly displayed for both bond and free, near and afar to read. This is given for the Tares to scream aloud; for no flesh knows this Thief's secret name, nor are they allowed to call upon it for pity. Then three unclean spirits are angrily pulled out the bodies of the unholy trinity; called back by Father to be held till the 1000 years are up. As the bible states, after the 1000 years, satan goes into the earth and gathers Gog and Magog (all unsaved humanity since time began); the dead nations and their kings and brings them up on the earth. These are those that will be deceived, raised in the 2nd resurrection and killed in the following insurrection. Beloved, the reason why only 1/3 of the earth's trees are burnt up in Revelation is; the remaining 2/3's are used to burn the tares. In similitude of the old Levitical sacrifice; once they are plucked up and their heads removed and bodies squeezed of blood. There will be once again another offering at the Euphrates. This meat offering will encompass all of humanity, which will burn in the Euphrates River bed, on the eastmost part of the glorious land. The location of this burning is precise. They are not burned randomly around the world, nor in the promised land. No, they are systematically gathered into bundles to the farthest eastern edge of the glorious land. No sinful filth shall enter the land again. Thus it is set outside at the easternmost border, downwind from Jerusalem. A symbolic token to the carcass dump of Gehenna; yet a literal altar for the offering outside the perimeter of Father's most Holy land. A feeding trough for all the fowls of the air and to every ravenous beast of the field. Then the living bride shall bathe her feet in their blood and walk on their ashes into the valley of the slaughter; to be painlessly slain, lain not buried by the second sickle, which the Groom could not, thus passed by. The alpha and omega lie flourishes, while the winepress is prepared. Will He leave a meat and drink offering? Yes, says the LORD God; the Lion of Judah will offer up a sweet savor. As it was in the past, so it shall be in the end. The LORD dried the Red Sea for passage of His children to the promised land. Again the LORD dried the Jordan River for passage of His children into the promised land. Once again in the end, the LORD will dry Euphrates as passage from this life, through death, unto life eternal. Hark ye all His angels and praise the Lord !